The countdown to Black Friday & Cyber Monday is well and truly on with each sale day arriving either side of this weekend. With Black Friday Sales overtaking the Boxing Day Sales as the biggest day of the year for global spending, we've decided to put together a list of some of the best deals and discounts on tech products and software aimed primarily at designers. Mockup Zone has slashed the price of Ultimate Access to their Entire Collection and not only will you get this at a massive discount, all future items added to the collection will be free for you! What's included: All current files on Mockup Zone, plus all future project will be free. Print, branding, packaging, logo design, themed assets, screen, advertsing and many more mockups are included. 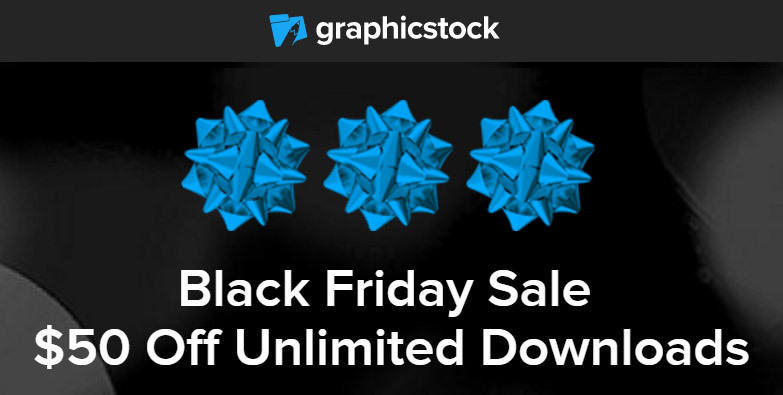 Graphic Stock is offering $50 Off Unlimited Downloads meaning you get it for just $49 for the first year. Your second year will renew at $99 so be sure to either cancel by then, or be aware to pay full price. What's included: Unlimited downloads of anything you want from over 350,000 vector graphics, photos, icons, templates, illustrations, textures & design elements. 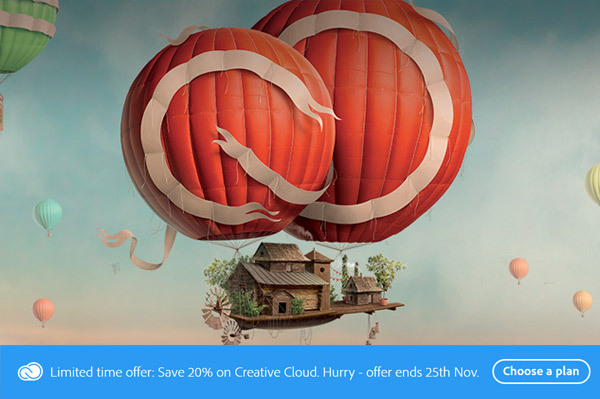 Adobe is offering 20% Off Adobe Creative Cloud on an annual plan paid monthly or prepaid. What's included: The entire collection of 20+ creative desktop and mobile apps including Photoshop CC and Illustrator CC. Your own portfolio website, premium fonts and 20 GB of cloud storage. Gain access to the world's largest collection of icons at a discounted rate of 50% off with IconFinder. What's included: Access to over 1.2 million icons in AI and CHS format with commercial licenses. 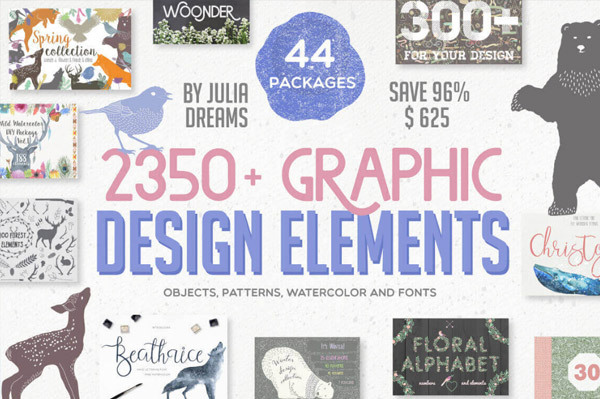 Made from 40+ different collections, this deal covers a wide breadth of themes from animals to frames to patterns thanks to Julia Dreams & Mighty Deals. What's included: Over 2350 hi-res graphic design elements in a variety of file formats including AI, PNG, JPG and EPS. 44 different packages are included with different sets such as animals, fruits, holidays, flowers, line patterns, frames, watercolours, arrows, coffee cup stains and more. 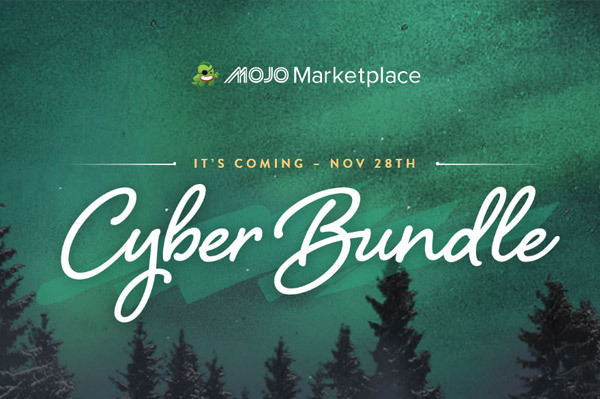 12 Wordpress Themes from the MOJO Marketplace have been bundled up into the >2016 Cyber Bundle and will be available on November 28th for just $29. What's included: 12 Fully-customizable Wordpress Themes. The bundle is a bit of a secret at the moment so that's all we know. 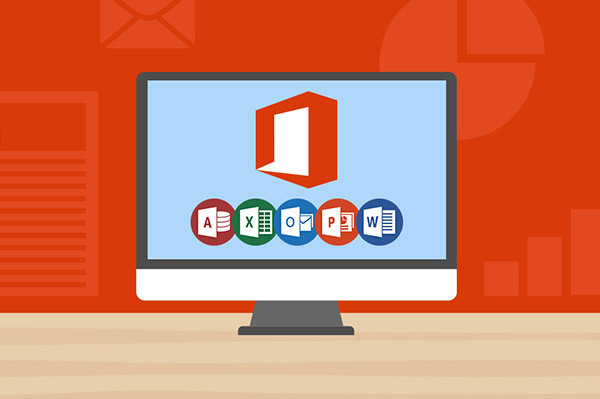 Over this extensive course, you'll learn beginner, intermediate, and advanced training in the entire Microsoft Office Suite: Access, Excel, Outlook, PowerPoint, and Word. What's included: Access 162 units of study 24/7, Learn how to create formulas & calculations in Excel, Import & export data, & learn how to build databases in Access, Create advanced invoices, tables, & graphs and much more! 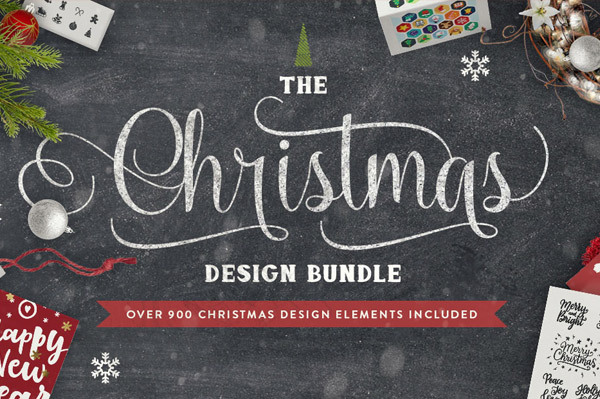 The Christmas Design Bundle is arguably the biggest Christmas Bundle EVER made. Complete with OVER 900 design elements – this is truly a one off work of art! What's included: 50 Chalk Christmas Elements, Christmas Flat Icons, Christmas Overlays Set from Santa, Christmas Overlays Set from Santa, Christmas Invitation, Hipsta Claus, Christmas Holiday Mockup Scene Creator & Vector Rustic Christmas snowflakes. That's right, we're offering our own savings during Black Friday and Cyber Monday. This is the only place you'll read about it until the day itself! 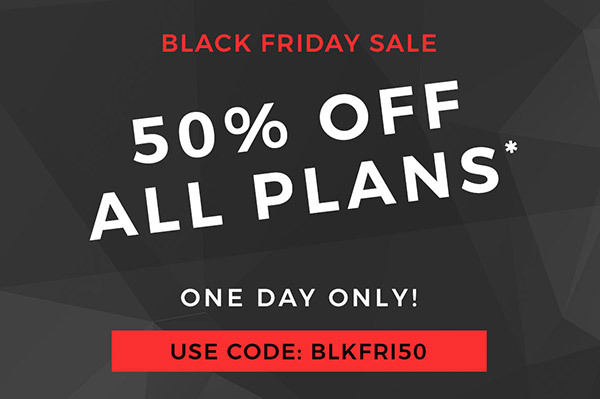 Valid for 24 hours only on each sale day, we're offering 50% OFF the first year of ALL plans. Simply enter the code BLKFRI50 on Black Friday, or CYBMON50 on Cyber Monday. What's included: Online software to create, edit and manage email signatures. 20+ professionally designed, coded and tested templates for you to base your email signature off of. Over 200,000 social icons to choose from and add to your email signature so you can brand it to your business Enable Google Analytics tracking to see and improve the traffic generated by your email signature.